Robert E. Whaley is the Valere Blair Potter Professor of Management and Director of the Financial Markets Research Center at the Owen Graduate School of Management, Vanderbilt University. He received his bachelors of commerce degree from the University of Alberta, and his masters of business administration and doctorate degrees from the University of Toronto. His past teaching positions include Duke University, the University of Chicago, and the University of Alberta. Professor Whaley’s current research interests are in the areas of relative performance indexes, volatility index products, commodity index products, stock option early exercise decisions, and derivatives contract design. 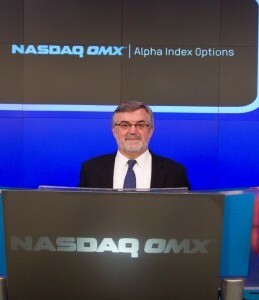 Much of his past work focused on the valuation of option and futures option contracts and the efficiency of the markets in which they trade, market microstructure, the effects of program trading and expiration days on stock prices, and the stock market effects of index component changes. His research has been published in the top academic and practitioner journals, and he is a frequent presenter at major conferences and seminars. 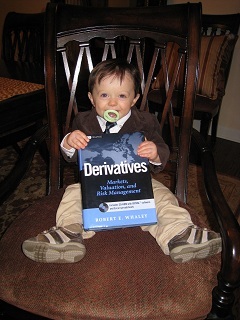 He has also published seven books including the recent Derivatives: Markets, Valuation, and Risk Management by John Wiley & Sons, Inc. Professor Whaley holds a number of academic and practitioner editorial positions, has served as a referee for more than fifty journals and granting agencies, and is a former member of the Board of Directors of the Western Finance Association and the American Finance Association. 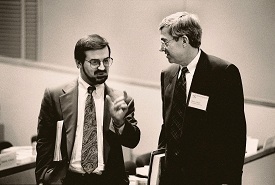 During his career, he has received a number of grants and awards including the 1989 Richard and Hinda Rosenthal Foundation Award for innovation in finance research, the 1991 NCNB Faculty Award for contributions in research, teaching and service at the Fuqua School of Business, Duke University, the 1993 Earl M. Combs, Jr. Award for contributions to the futures industry, a Chicago Board Options Exchange 40th Anniversary Award for contributions to listed options markets in 2013, the 2015 Joseph W. Sullivan Options Industry Achievement Award, and the 2015 William F. Sharpe Lifetime Achievement Award. Many of his research papers have received awards, including Graham and Dodd Scrolls for Excellence in Financial Writing from the Financial Analysts Journal in 1986 and 1987, the Bernstein Fabozzi/Jacobs Levy Award for Outstanding Article published in Journal of Portfolio Management during the volume year 1999-2000, the E. Yetton Award for Best Paper in Australian Journal of Management in 1997, the Bernstein Fabozzi/Jacobs Levy Award for Best Article published in Journal of Portfolio Management during the volume year 2008-2009, and the CBOT Award for Best Paper on Futures at the Western Finance Association meetings in 1993. Professor Whaley is an established expert in derivative contract valuation and risk management, and market operation. He has been a consultant for many major investment houses, security (futures, option and stock) exchanges, governmental agencies, and accounting and law firms. Whaley developed the Market Volatility Index (i.e., the “VIX”) for the Chicago Board Options Exchange in 1993, the NASDAQ Market Volatility Index (i.e., the “VXN”) in 2000, and the BuyWrite Monthly Index (i.e., the “BXM”) in 2001 and co-developed the NASDAQ-OMX Alpha Indexes in 2010.